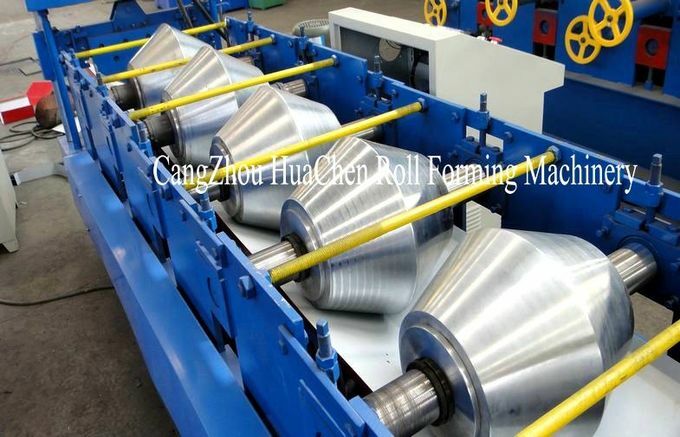 ◊ Surface of Roller: Heat treatment HRC58-60. ◊ Forming station: 12 stations. ◊ Measuring accuracy: +/- 0.5 mm/M. ◊ Arch middle plate: 30mm thickness. ◊ Output: 8-10 Tons per shift (8 hrs.). 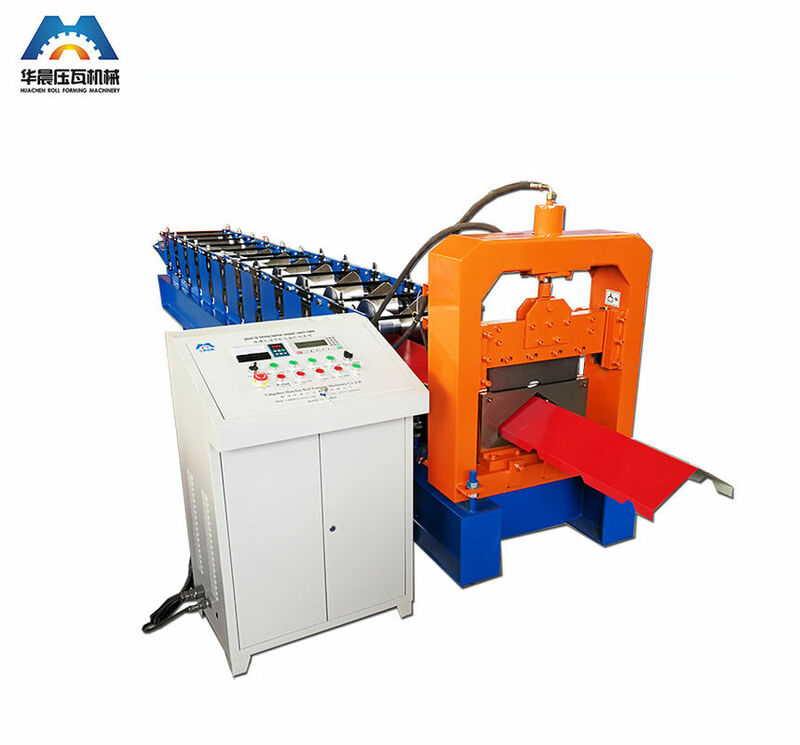 ◊ The machine base is assembled and welded by high quality steel. ◊ Cutting way: Tracking (Flying)..
◊ Motor power of Oil pump station: 7.5kw with cooling system. ◊ Forced air cooling device available. ◊ Cutting mould: 1 sets. 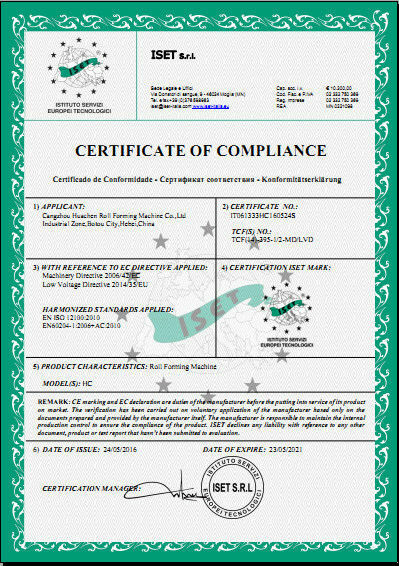 ◊ Material of blade: CR12 with heat treatment HRC60-62. 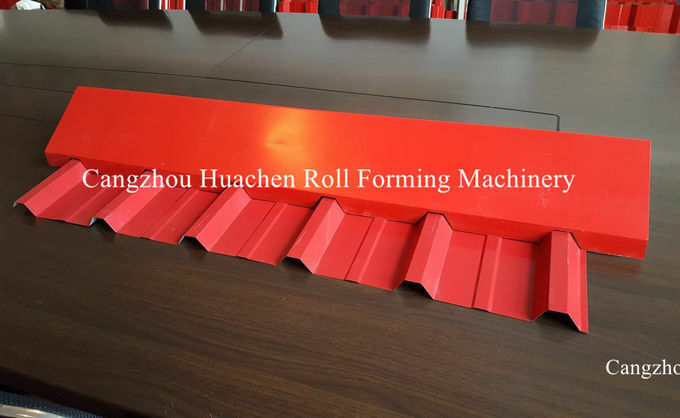 1.We can make and design all kinds of roll forming machine according to customer's requests. 2.This is a very perfect and durable equipment. 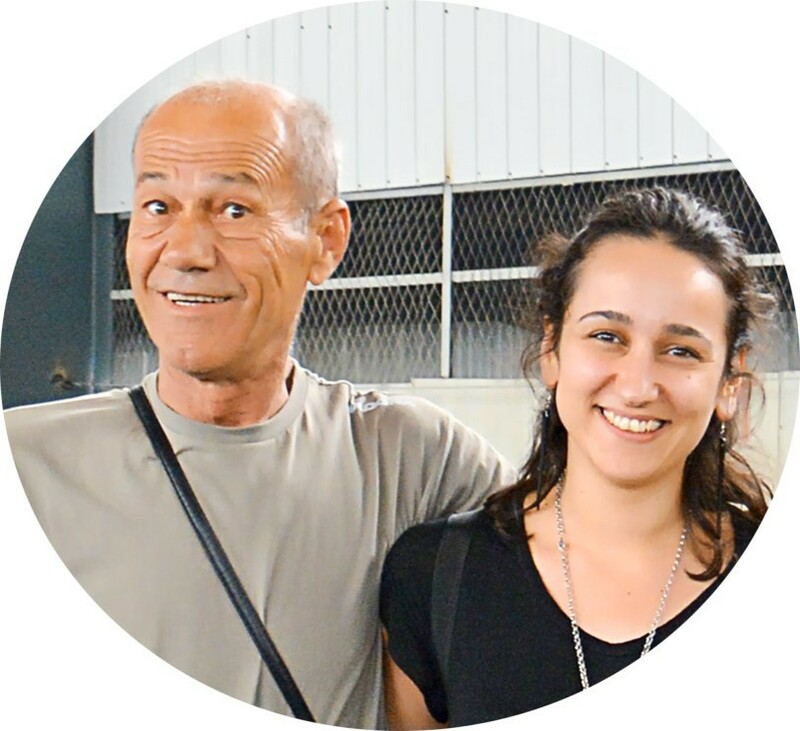 We have more than 13 years experiences. 3.This kind of machine has the best quality and the best price. It has accurate measurement and easy operating. 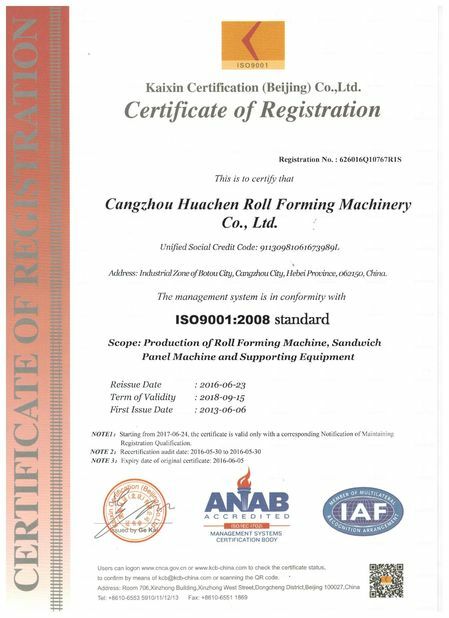 4.We can design and manufacture the special type machine according to the customers' requirement and we could provide technical guiding, production, installation, debugging and maintenance service to all customers.